Our August guest editor, the author of A River of Stars, is like many other readers who stack their #TBR piles high with the best new releases of the year. This list is jam-packed with some of the best new short story collections, a few stunning novels and even a jaw-dropping non-fiction read. These are the 10 books currently on Vanessa Hua’s #TBR pile. This collection of 16 uncommon stories is an eye-opening look at the ways women of color face issues of sexual abuse and severe racial tension. White Dancing Elephants is a difficult yet touching read about perseverance, feminism and other challenging situations. This debut short story collection by Jamel Brinkley explores the lives of black men, both young and old. Growing up and adjusting to life in a world charged by social issues, racism and injustice, A Lucky Man is full of unique characters and immense heart. Rita Bullwinkel’s one-of-a-kind short story collection takes common stories and turns them on their heads. Through ghosts, mediums and other paranormal entities, Rita’s characters explore their bodies and the ways they both serve them and harm them. Lauren Groff dives into the most intriguing elements of Florida in this short story collection. The bestselling author covers everything from alligators to the state’s history and climate in this 2018 release. Haemi Lee is only 16 when she’s forced to leave her home and take care of her mother and brother during a time of civil war. Later becoming a wife and mother, she will be reminded of an old love and the way she felt for him, bringing about a decision to either follow her heart or protect her family. Lazarin’s collection of new stories brings women to the forefront. Focusing on women’s needs and wishes, Back Talk is full of new characters who push boundaries and appease their deepest desires. In Tommy Orange’s debut novel, a group of vastly different characters are all attending the Big Oakland Powwow for various reasons. All of their personalities and intentions will snowball into a conclusion that’s both momentous and spectacular in There There. Curtis Sittenfeld’s first story collection captures the human experience with candor and brilliance. Contemplating decisions humans make, failed connections and coincidences, this 2018 release is full of relatable stories and excellent characterization. The Zhen family has just returned to China after trying to make a life for themselves in America. Wei, Lina and their daughter now find themselves in Shanghai, living a fortunate life but when Lina finds that her prized ivory bracelet has disappeared, it’ll only be the start of intense pressure and extreme mistrust within their home. Investigative journalist Bernice Yeung is determined to expose the darkest aspects of sexual harassment in the workplace in this new book. Traveling throughout the country, Yeung meets with female workers who have gotten out of poverty and come to America to make something of themselves. But instead of finding success, these women have found great suffering at the hands of their employers. Make sure to pick up Vanessa Hua’s novel, A River of Stars, now! 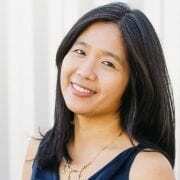 Vanessa Hua is an award-winning author and columnist for the San Francisco Chronicle. For two decades, she has been writing about Asia and the diaspora, filing stories from China, Burma, Panama, South Korea, and Ecuador. Her work has appeared in the New York Times, San Francisco Magazine, Washington Post, The Atlantic, and Newsweek, among other publications. She works and teaches at the Writers’ Grotto in San Francisco, and is on the faculty at the 2018 Mendocino Coast Writers Conference.